Greetings on this beautiful Monday. You know what today is right? Yep, tax day 2019. Be sure you get your returns in today! You won’t be jumping for joy, but you will have good timing if you get it done. 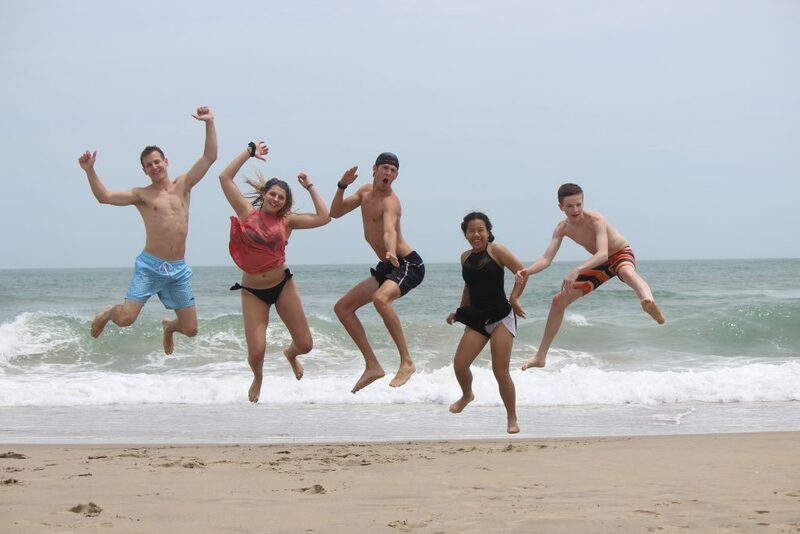 So speaking of jumping for joy, how about this week’s Memory Monday photo for Sandbridge Blue which comes to us from Suzanne Pearson who sent along this picture that is, to say the least, an impressive shot! Suzanne tells us these are her four kids, plus one. So congrats to from left Jonah, McKay, Caleb, Hallie, and Silas. Hallie, you were a little late on the jump there girl! And check out the height Jonah got on this – Major air! Same to you Silas. Very impressive effort and everyone has this picture on their social media time line no doubt. So don’t you want to recreate this picture with your crew there is still time to make arrangements. We have some openings in July, but they are filling rapidly, and we also have some openings in June too. Check our our availability today on our website, and pay special attention to our specials page for the best deals! Thank you Suzanne for sharing your Memory Monday photos with us. We look forward to serving all of your jumpers again this summer.